This boat has been stripped. Everything has been replaced on the boat by Brenner75. We are a Mercury Certified Service Dealer. 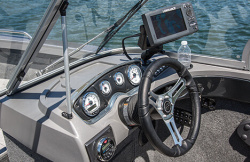 New gauges, rigging, seats, pedestals, and a 2019 Mercury 150 HP 4 stroke with a standard 3 year warranty. 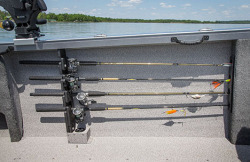 The price for boat, motor and trailer is motor is $34,999. 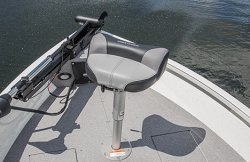 Are you outfitted to own every moment on the water? 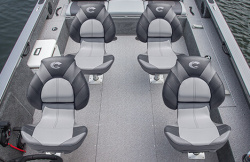 It all starts with the Crestliner Authority, purpose-built to unleash the angler in you. 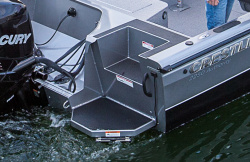 Take on big water with our legendary all-welded aluminum hull construction. 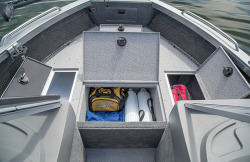 And with premium fishing features and spacious storage, you'll find the Authority hits hard from every angle, giving you all-day comfort and function wherever it takes you. 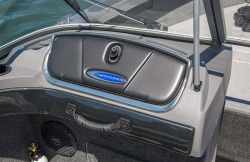 So challenge big waters and always come out on top with the Authority from Crestliner.